Residents and law enforcement in Los Indios, Texas differ in opinions about additional border fence projects. 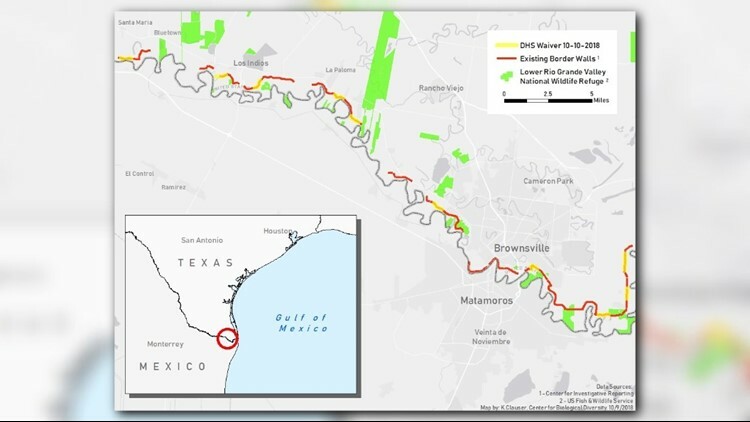 Los Indios, Texas — The Department of Homeland Security announced this week it intends to expedite construction projects along the border to seal border fence gaps in the Rio Grande Valley, deemed by Border Patrol as a smuggling hot zone. However, critics say the agency is doing this at the cost of the environment. Herminia Quintanilla has lived all 77 years of her life in Los Indios. The town is a border community of 1,100 residents located just north of a Bush-era border fence with a heavy presence of law enforcement. For Quintanilla, a border wall, or fence, is a waste of money that could go into helping people in need. That’s why she believes Wednesday and Thursday’s announcement on the Federal Register by DHS – waiving environmental laws to speed up border wall construction – makes no sense. “It does not matter. They [smugglers and immigrants] build tunnels, they bring ladders, they cross the wall, there’s no stopping them,” she said. Los Indios Police Chief Jose De La Rosa isn’t really concerned about immigrants crossing the border, but he feels a different way about drugs. The Center for Biological Diversity created maps of Hidalgo and Cameron counties, outlining in red where the border fence currently exists, and in yellow where DHS intends to finish the job. It essentially walls off wildlife refuges, private property and historical landmarks. DHS is also waiving a total of 28 environmental laws to deliver on the president’s campaign promise. One that divides both land and opinions.